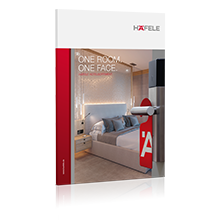 Häfele does not only rely on its own hardware and fitting solutions, globally we also offer products from more than 1,500 suppliers in our product range. In this way, Häfele can provide its customers with added value and provide the best possible delivery capability. If you offer products that complement our product range and meet Häfele quality standards, we look forward to welcoming you as a Häfele supplier. Use the supplier contact form and we will be glad to contact you to provide you with more information about our supplier contracts.